It is with great joy I write this much-awaited post, although I’m yet to fully articulate my emotions in words. I’ll try my best. Before I continue, I am not the same Pero you knew few weeks or months ago. I took a trip recently, which changed my whole life! My NYSC became a case of relocation went wrong lol. I’ve been in different phases of hope and disappointment. Trying to figure out things and getting busy while waiting for NYSC to finally work out coupled with heartbreak and rejection all in the same season. I’ve shared about the depressive episodes I had, my fight with God and how God led me back to Him. My relationship with God went back to normal, however, all of a sudden, a woman we contacted monthssss ago concerning NYSC started calling and working on my case. I was told to go to Sokoto to sort out some things. Thank God I booked my flight two days before cause there was an online glitch while booking and I couldn’t get my ticket details, I went to the airport to complain and I was told it had been sorted and a mail will be sent to me with my travel details. I really don’t know why I trusted them. lol I got my ticket few minutes to take off. It was bad and my heart was beating so fast. I got on board and we had a layover at Abuja where I was thinking about where to stay when I get to my destination. I remembered NCCF house and the stories I’ve heard. I googled it and I called the number and explained my situation. The pastor told me I could come and I kept him abreast of my journey. During the layover, a young man came to sit beside me, guess cos I was on my NYSC uniform and we had a little chat; He is a photographer going to Sokoto to shoot a wedding, he also served in Sokoto. As I sat in that waiting area, I wondered what awaits me at the NYSC Secretariat, how they would talk to me and blame me for waiting all these months before coming back. However, I just made up my mind that no matter what happens, God is in control. The journey from the airport to the secretariat was good thanks to my new photographer friend who shared the cab with me. With his help, I wasn’t cheated. When I got to the secretariat and I met the sweetest civil servant ever! I was favoured, he sympathized with me, encouraged me, spoke Hausa to bike riders and negotiated my fees on all days I had to go to the secretariat, and he even bought me food.lol My palpitations disappeared. He was my angel. Although I was seeing the hand of God in everything gradually, the one that hit the nail on the head was meeting “The Jonathan to me David, The David to me Jonathan” my sister in destiny. When I was in camp, my friend’s sister was also there but we never really spoke and I probably saw her once so when we all returned to Lagos. I never thought about her until my stay in NCCF family house when this young lady asked what my name was, I told her and because I was trying to be friendly also I asked her name. she asked my surname which took me by surprise and I became curious looking at her face closely. I replied and asked her surname, her response left us both laughing. After that,I just wanted to have a discussion with her I didn’t know why but my spirit just wanted to be around her. We tried to plan a hangout which never worked out and I was already planning my leave and had booked my ticket. From there, we had to get a chair. We spoke from about 7pm into the next morning. In those hours, my life changed. My friend spoke to me and I got several confirmations as she was speaking but what blew my mind the most was when we were discussing and she’d pause and say the Holy spirit is telling me something, “The Holy spirit is saying…” and she would quote scriptures to back it. My God! Do you experience the Holy Spirit to that extent? I know the Holy spirit talks to me but I haven’t experienced it up to that level and my mind was blown, and by all we both spoke about, I was convinced it was God! And really He had a hand in my coming to Sokoto and every single thing that had happened to me this year. That encounter reminded me of John 14:15-31 MSG, please pause and read it. When Jesus was on earth, the disciples could ask Him anything per time but He had to leave and He sent His Holy spirit which Jesus said would tell us ALL things. I came to understand that, every single detail of our lives can be known by asking the Holy spirit. The Holy spirit is our friend and we could have conversation with him. God desires that much intimacy from man. The beautiful thing about this setting is that, if you ask the Holy spirit about everything, your life becomes in sync with God’s purpose. It is no longer you who lives but Christ lives on the inside of you so you manifest Christ! You will always be in sync with heaven and download messages unlimited from the throne room. However, there is work required, there is process, you’ll have to die to self! I feel a lot of Christians get stuck here cos process is not easy. The Holy spirit will prune whatever is in you that is not of God. He will tell you things to come and people would wonder how you know, He would remind you of scriptures and open your eyes to heavenly things, you’ll love God passionately, you’ll long for Him every minute of the day, you’ll never want to disobey God, you’ll get a greater understanding of the scriptures, you’ll become uninterested in certain things you’re struggling to let go of. Life would make sense, depression doesn’t exist there, you can feel God, you hunger for more, you pray for others, you evangelize, you want everyone to encounter God, you no longer chase things, you just want heaven on earth by carrying out God’s instructions. Our discussion ended in prayers and I was transformed, I wanted to abide for the rest of my days like the disciples told God on the Mount of Transfiguration. Dear reader, come up higher and stop asking God for little things. I have been quiet cos God is working in and through me, opening my eyes to understand my life’s assignment and vision, bringing me in alignment to His plan for me. I just needed to be focused on Him alone. My testimony: One night, the holy spirit woke me up to write a script for a stage play, I said “Holy spirit say it, when I’m fully awake I’ll type it”, besides, there was no light. Guys, I couldn’t sleep till I stood up and wrote about seven pages of this script. I could only sleep when I finished writing, He also gave the songs to be used in the play. The Holy Spirit told me the person to ask if they wanted to act a drama. When I told the person and she said she was going to ask me to write something that very day but kept forgetting. She was blown away and I’m just in awe of God, the Holy spirit is real. I’ve had several experiences with the Holy spirit, reading books on the Holy spirit and so many I am not permitted to share just yet. My prayer is that your relationship with the Holy spirit becomes supernatural. Thank you for reading, please share your thoughts. PS: Thank you to everyone who checked up on me during the break, you guys are the best! Special shoutout to Dr. Gloria Okoye, thank you for your kind words. 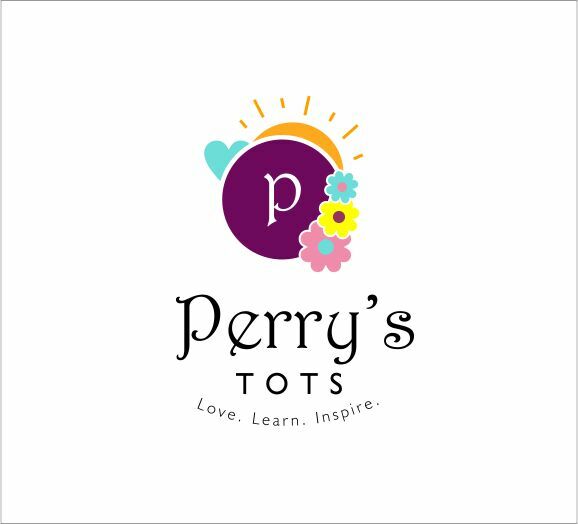 Fam, Perry’s Tots will be 5 in eleven days, would you come if I plan a meet and greet at a token fee? A day we just chill, gist, eat and have lovely conversations about different things including my two books, and encourage ourselves.